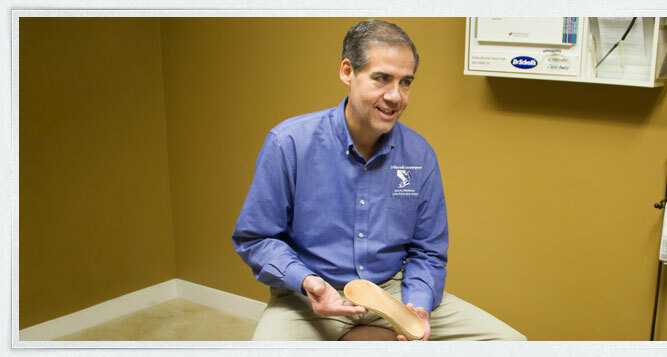 Dr. Levesque specializes in the fabrication of both customized sport arch supports and custom made sport orthotics. Dr. Levesque makes his customized arch supports right in his office. The patient can receive these at their first appointment and start benefiting from them immediately. Custom Sport Orthotics are made from casts of the patient’s feet and fabricated in an Orthotic laboratory. Both of these sport devices are used to help restore optimum biomechanical function by correcting abnormal foot and lower leg mechanics. Customized sport arch supports and Sport Orthotics not only correct problems with the feet but can also correct certain knee, hip and lower back pain.